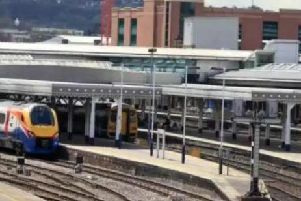 A concerned motorist has voiced fears over the safety of a notorious Sheffield junction following two tram crashes in the space of just five weeks. Zoe Hurst, from Wybourn, said she was driving along Woodbourn Road and looking to turn right onto Staniforth Road when she was almost in collision with a tram at the junction. The junction was closed following the crash on November 30. She said the incident happened on Tuesday, December 4, when she was turning at the traffic lights. Zoe said: “We were sat at the traffic lights and set off to go when the lights went green and there was still a tram going across the junction. Police at the scene of the collision on Friday. Picture Dan Hayes / The Star. One person was taken to hospital following a crash between a tram and a car at around 4.30pm on Friday, November 30. The incident came just five weeks after a tram-train service was involved in a collision with a lorry carrying gas canisters on the first the pilot project’s first day of service. The Rail Accident Investigation Branch said it had received a report on November's crash and was ‘making initial enquiries’. Firms near the junction have also spoken of their frustration at the length of the repair works following the November incident. Coun Jack Scott, Sheffield Council’s cabinet member for development and transport, said the council carried out a review to improve visibility at the junction. Two additional ‘tram warning' signs have also been installed at the junction, he added. In a statement, Sheffield Council said an engineer attended the junction and found that all signals ‘were functioning correctly’.